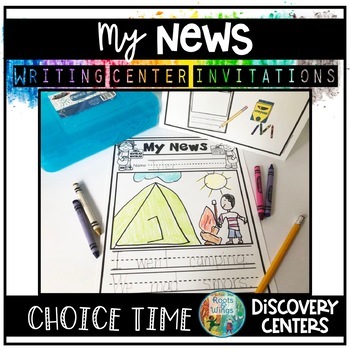 Writing for Real templates were designed to be easily integrated into your daily routine and centers to increase the number of writing and fine motor opportunities you are able to offer your preschool, kindergarten, or first grade children. 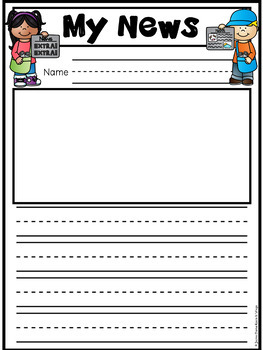 The templates include varying lines and picture/word space to help you slowly scaffold your young writers and differentiate throughout the year. 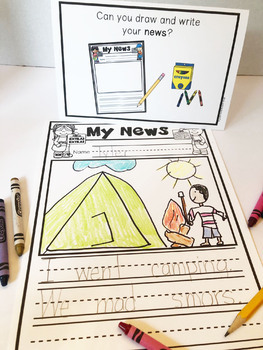 Children can bring their news to morning meeting or you might provide a special news board for children to post their news and share with the class.